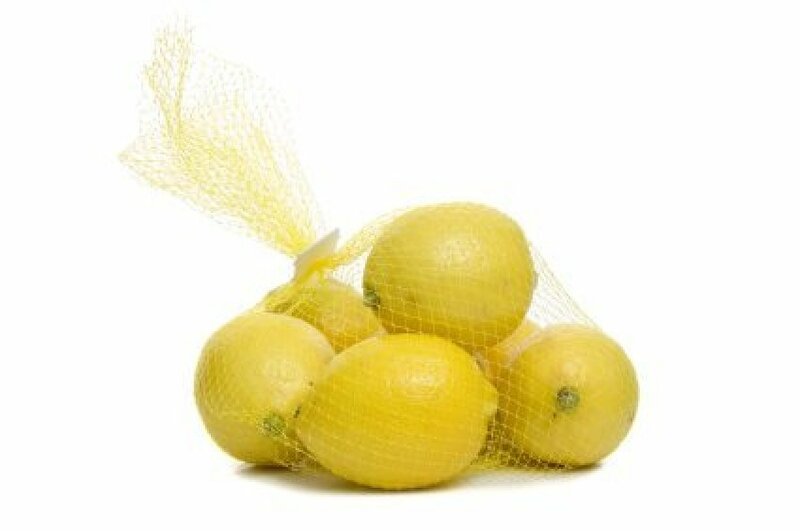 Help the environment and save money by reusing your mesh produce bags. This is a guide about reusing mesh produce bags. A safe dish, bathroom or even body scrubber. 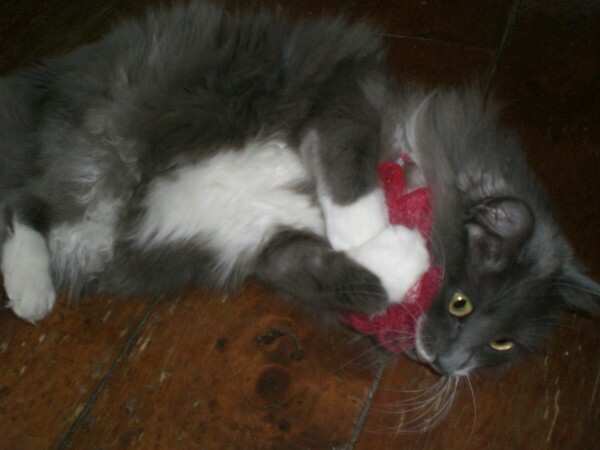 A kitty toy. For some reason, kitty loves to play with them! Or carefully snip off the metal part that seals one side closed but leave the other side intact so it's an open bag. Bring them back to the stores when grocery shopping. I use them when buying loose vegetables instead of using plastic bags, which take over 100 years each to decompose in landfills! 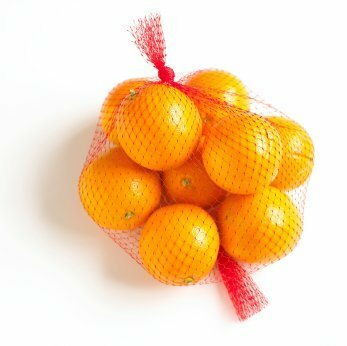 To save bringing home all those plastic produce bags, I save all the net bags that oranges, onions, etc. come in and take them to the store to put my fruits and vegs in them. They have almost no weight, so don't worry about paying extra at the scale. They wash and dry easy too! Another use for the 'mesh onion bags' is for putting peanuts in and hanging on trees or the eaves of your home. I have been doing this for years and enjoy watching the chickadees and woodpeckers as they cling to the bags and eat away at the peanuts (unsalted of course). The mesh should be the smaller holes but are just as easy to find as the other. Tie a loose knot and put any type of hanger through the knot. This may be used over and over again. Use mesh produce bags, especially the colored ones, in place of lace for craft projects. It can be easily cut with scissors and adds texture without the expense of using lace. We are making up little beach/park/vacation/school trip bags with recycled netted onion bags. The kids keep all their things together by throwing their sunglasses, comb, sunscreen, sanitizer, change purse and incidentals in their own individual bags. 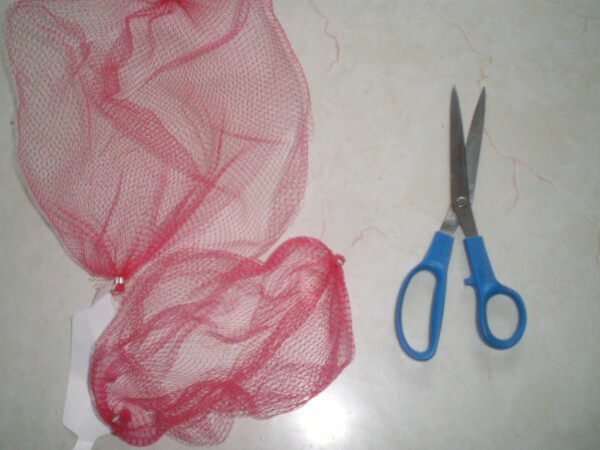 This is a guide about making a recycled mesh bag pot scrubber. 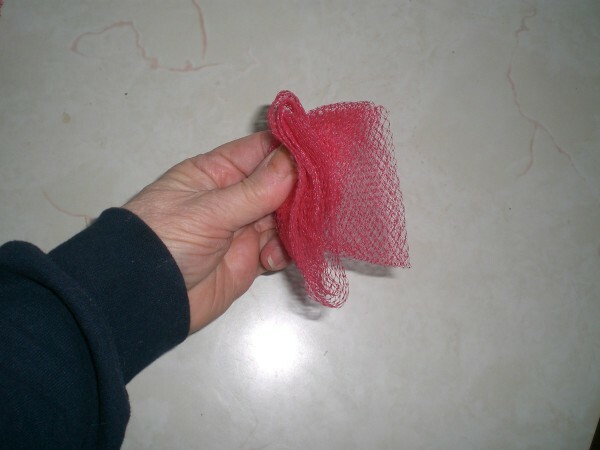 Mesh produce bags can find a second calling as a pot scrubber. 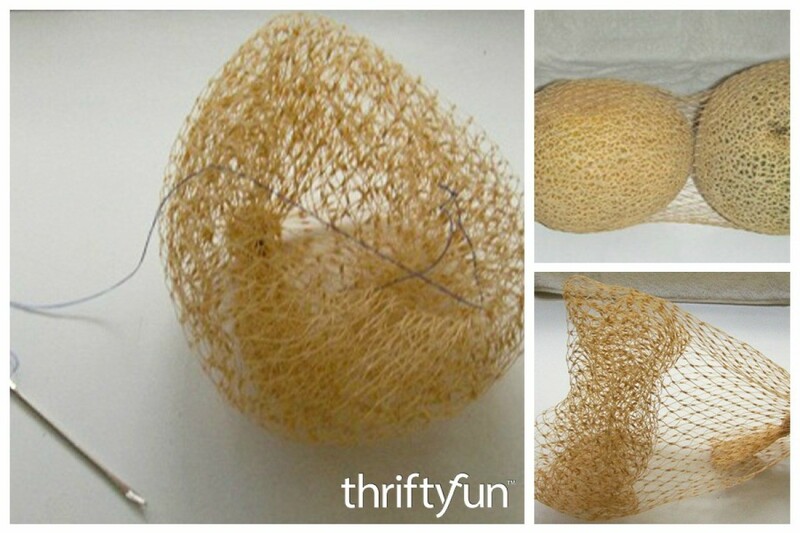 This is a guide about making a mesh produce bag earring display. 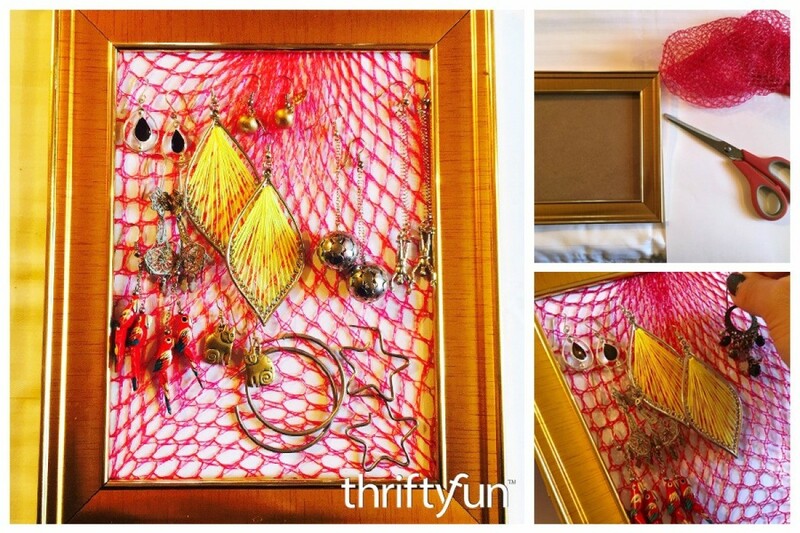 Reuse a plastic mesh bag to create a convenient earring display for yourself or as an inexpensive gift. This guide is about uses for mesh orange bags. 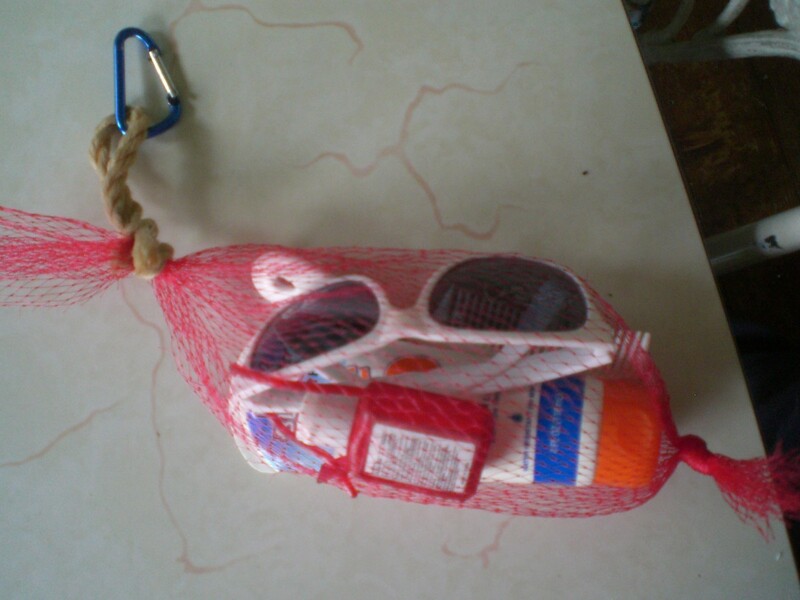 Recycle your mesh bags in a variety of useful ways. Ideas for reusing the mesh bags that onions come in. Post your ideas! I got the 10 lb size from my grocery store. In fall, I fill them with the leaves I'm raking and use them to cover my rose bushes, just use rocks to weigh them down. They're still in great condition after 6 yrs. You can also use the small ones to hang suet feeders in the trees for birds. Roll some shortening into birdseed, put inside the mesh and hang near your window. Along those lines you could put soap in the mesh instead of a sponge and make soap on a rope. Now if you rinse out an old liquid detergent container (the huge ones with the spigot that sit on their sides), fill with water, hang the soap/mesh bag on the spigot, you have a wash station for camp or the worksite. Hi, In Australia you can buy plastic sponge type handheld scrubbers for non-stick fry-pans (skillets) and saucepans but they can be expensive. I found myself in a bind once when I wanted to get some gunk of my pan and had nothing to use. I remembered a friend told me that the onion bags scrunched up make good scrubbers. When they wear out just find another. I usually try to keep one or 2 under the sink just in case. Make sure there are no metal clips or tags that might scratch the non-stick surface. It is guaranteed to get off hard to shift burnt offerings without scratching the surface. I wash out the mesh bag that my onions come in and use it to store toys for the car. That way everything is together in the car. Use a bread bag clip or a rubber band to close the mesh bag. 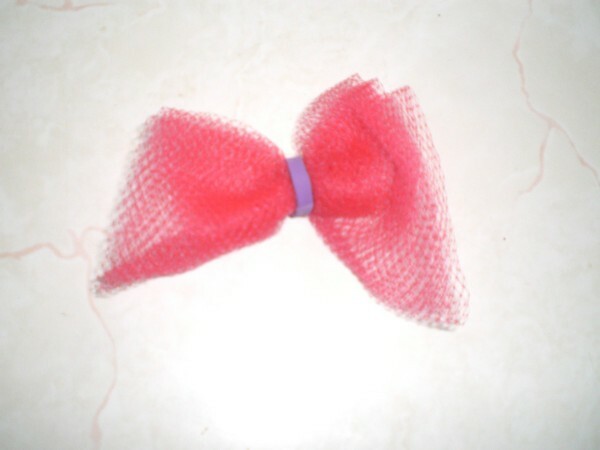 I use the plastic mesh bags that contain vegetables and fruit as a scrub pad. I put a folded up old facecloth or a old small hand towel in the bag and tie the open end with a elastic band and voila, a super scrubber for everything you need to clean. When done, take out the rag, wash and use again the next time.